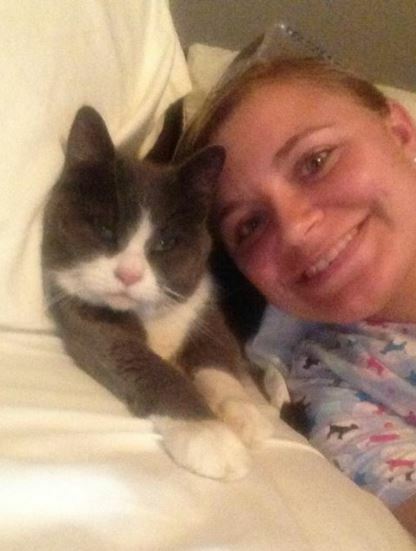 A Moore, Oklahoma woman ecstatically shared the news yesterday that her beloved Fat Cat had been found and was back with her family again. Tiffany Moreno shared her great news with the online community of animal lovers and rescuers yesterday after a neighbor found her under his boat. Some followers of Moore Oklahoma Tornado Lost and Found Animals immediately recognized Fat Cat as one of the animals whose families were searching for them.